AXcent Lighting, Sound & Consulting in White Plains, New York, has years of experience with custom stage lighting design and AV wiring for many high-profile clients. Put us to work for you! 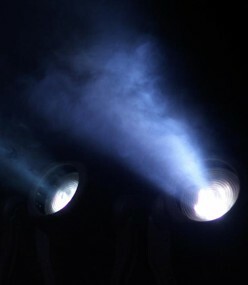 Our staff is the experts in design and installation of custom stage lighting to suit any needs in any environment. We specialize in custom LED and low-voltage systems for permanent installation or temporary rental options for weddings and concerts. Public announcement systems are essential to any commercial business. We can install a new public PA system for restaurants, nightclubs, and any other commercial grade location where you would need background music, with the capabilities for announcements and paging. With our experience, we can ensure that the PA System installation will go smoothly. As a full-service company, we install in-room satellite TV for commercial enterprises, such as nursing homes and hospital environments. Also we can do the multi-screen Sports Bar installations. We can switch you from cable to bundled satellite service, saving money for our clients on their monthly bills. Contact us in White Plains, New York, for stage lighting design, stage lighting rentals and PA systems installation for your club.